//Neighborhood support between and for seniors. 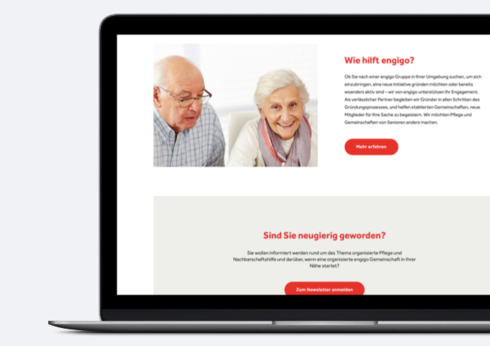 Since the inception of the pension-system in Germany in the 1950s it was clear that the idea was not sustainable. We traded a financial deal for a generational contract. Today it is becoming painfully evident that we need to find new and better ways to support elderly people. This is not only a question of meeting the physical needs of a person, but just as much a question of belonging. As Susan Pinker writes in her book "The Village Effect" maybe the most important driver for thriving at an old age is being able to rely on a working social contract. Together with RWE (yes, the energy company) we set out to solve this. 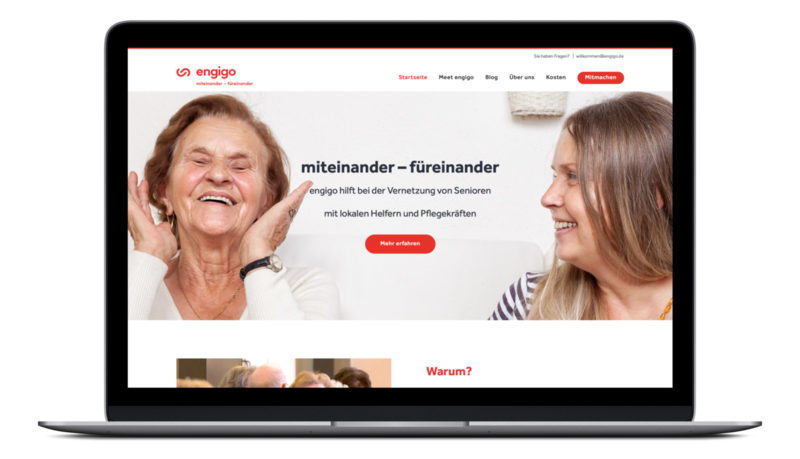 The result is engigo which serves as a platform to connect and organise neighborhood support between and for senior citizens.